Rochelle Davids Drops Defender & Finishes! 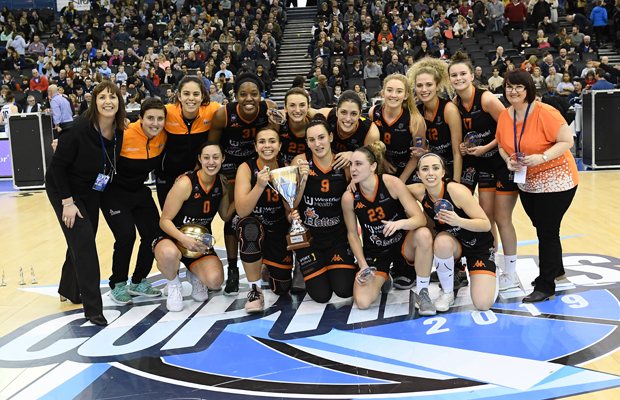 Westfield Health Sheffield Hatters needed a three pointer from Helen Naylor with 0.6 seconds remaining to claim a historic 62-60 win over Sevenoaks Suns to earn its first WBBL Cup title, at Arena Birmingham in front of 5,000 fans. 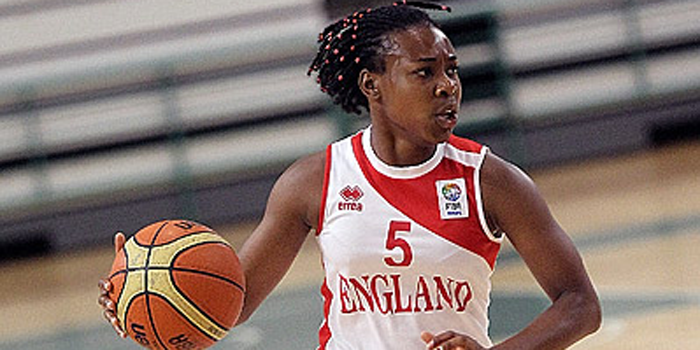 With victory, Sheffield became the first franchise to have won all four pieces of WBBL silverware – having won the Trophy, League and Play-Offs in previous seasons. Following a back and forth final quarter and trailing by a single point after Cat Carr had knocked down a jumper with just seven seconds on the clock, Naylor’s game-winning three hit nothing but net on its way through the basket to secure victory for Sheffield. “We played so well together as a team,” Naylor said after the game. “This team is one of the most [unselfish] teams I’ve ever played on. Sarah Toeaina earned MVP honours having produced a gritty double-double of 15 points and 13 rebounds, while Alison Gorrell poured in a team-high 16 points. Naylor also scored in double-figures with 11. “We fought for one another and today we went to battle,” Toeaina said. Cat Carr fell just short of a triple double for Sevenoaks in an inspiring performance, finishing with 21 points, 9 rebounds and 10 assists, whilst Janice Monakana had 14 and Tayani Clark finished with 12. “It was a great game and we fought back. I thought we were maybe going to sneak it at the end but sometimes it doesn’t work out that way. The Cup title becomes Sheffield’s fifth piece of silverware of the WBBL era and a first success since the Trophy during the 2015-16 campaign. The Suns meanwhile fall to a first loss of the 2018-19 campaign, across all competitions. “I’ve said all along, it was going to be a tough game. We know how good the Suns are, but we also know how good we are. Jus tryn'a let the world know the UK can hoop a little bit too! Got a story? Contact me on sam@hoopsfix.com! Holly Winterburn (’00) Shows Out in WNBL National Cup Final!